Rooting is the process of obtaining superuser access in a (Linux) system. It is same as obtaining Administrative privileges in Windows PC. Rooting allows us to customize our device to our liking, access system files and edit them, and many more achievements can be unlocked on any android smartphone through the use of various root applications found on Google Play. You can find out more about rooting, it's advantages and disadvantages at this article. So, let's move on to the topic i.e. rooting galaxy ace duos SCH-I589. 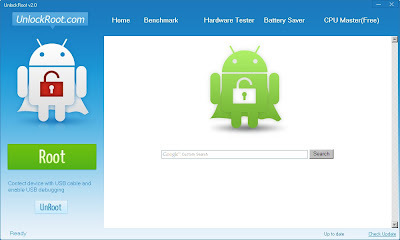 To root Samsung Galaxy Ace Duos, we take help of an application known as UnlockRoot. Unlock root is an easy one click rooting and unrooting application which is currently on version 2.3.1 and is believed to support rooting and unrooting of over 200 devices running both Android 2.2 and 2.3 firmwares. This handy and useful software comes as a 9MB small package with one click setup so anyone who can use a PC can set it up and running. After it is installed, the easy interface let's you root your device with just one click. Now, that you know it's very easy to root your galaxy ace duos SCH-i589, let's get started with the rooting procedure. Disclaimer : DO IT AT YOUR OWN RISK! Rooting Your Device Will Void Your Warranty and Leave It Vulnerable. Now, Enable USB Debugging on your Galaxy Ace Duos. To do so go to Settings>>Applications>>Development and check Enable USB Debugging option. Download Unlock Root software on your PC. Now Connect Your Galaxy Ace Duos SCH-i589 to your PC using USB Cable. When everything is done, run UnlockRoot.exe app. It will present you with a setup wizard. Press Next and wait till it install Unlock Root software on your PC. Once it present the final Finish Wizard screen make sure you check the Run UnlockRoot application check-box (if it is not checked by default) and press Finish button. Unlock Root will run and You will be presented with this screen. Noie : If the software doesn't open, you can run it from Start>>All Programs>>Unlock Root menu. Now Press the Root Button and select your device if prompted. Wait till it finishes rooting your galaxy ace duos. Select Yes when it prompts to restart your handset for the effects to take place. That's all. You have successfully rooted your Samsung Galaxy Ace Duos SCH-i589 smartphone. Upon successful reboot you shall notice a new superuser app available on your App Drawer. This application is used for managing (allowing and disallowing) root permissions to different root apps which you can now download and run from Google Play (former Android Market). But, be careful when allowing root access. Allowing root access to untrusted apps might sometimes is perishable. Also, here are few apps that you might want to try on your rooted android smartphone. Do let me know if you have any issues at the comments below. This does not work for my Samsung Ace Duos. It gives me error "Unable to get shell root" and then does not proceed after that. "Failed to get shell root" is the message i get while rooting my ace duos.